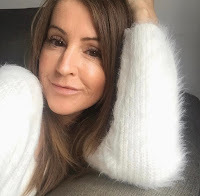 For some time now I've been after a skincare regime that packs a little bit more punch for my (slightly) more mature skin and I think I've found it in the Jan Marini Skincare system. I've always used more high end cleansers and moisturisers with my favourite of at least the last six years being Elemis. BUT in the last year, maybe two, my skincare needs have definitely changed and I needed something to address all my issues. I often find now that my skin is dehydrated, which yes has something to do with age but I really do believe it's also down to medication that I take on a daily basis. If I'm really honest as well I just got to that stage where I felt I was paying out quite a lot of my hard earned cash and wasting my money on products that just weren't delivering the results they promised. I wanted to see measurable results. Something that would genuinely reduce or soften my wrinkles. So what to do? Through writing my blog I've come across the word cosmeceuticals many times and they began to interest me more and more. Now I do not work in the beauty industry (sadly) so am therefore no expert and only know this from what I've read. Cosmeceuticals are a 'collaboration' of cosmetic and pharmaceutical products scientifically produced to give proven results with the ingredients being able to reach the deeper dermal layers of the skin, helping with wrinkles, hydration, uneven skin tone, sun damage, the list goes on. Funnily enough I need help with all of those things. The ingredients are stronger than your cosmetic grade skincare but not as strong as the pharmaceutical skincare products that require a prescription. They often contain ingredients such as hyaluronic acid, glycolic acid, antioxidants, vitamin C, and retinol. If you're looking to ramp up your skincare I would suggest getting advice from a reputable clinic as the choice is quite mind boggling and you WILL need help selecting the right products for your skin concerns. I made an appointment to see Andrea and Kate at Dermacare, a clinic fairly local to me. Kate, the therapist, looked at my skin under the skin analysis machine (wasn't looking forward to that bit, although I didn't think I looked that bad!) and they suggested that the best products for me to start off with would be Jan Marini, the 5 step skincare management system to be exact. It was a bit pricey but I knew I had to invest if I wanted to see results. A bioglycolic cleanser to help promote a soft, smooth, refined skin texture. I double cleanse at night, first taking my makeup off with my regular cleanser then follow up with this one. I love it. It does sometimes make your skin tingle and sting a little but that's completely normal, makes me feel like it's really getting to work. This is the C-ESTA vitamin C face serum helping to improve wrinkles and skin firmness. I love this but find it a tad tricky to apply as it's very fluid and tends to slip through my fingers before I can get it on my face if I'm not careful! Bioclear face lotion does exactly what it says on the tin. It helps to remove the build up of dead skin cells and smooth out the surface of the skin and giving quite remarkable results. I opted for the normal/combination skincare system and that comes with the transformation face cream to moisturise and hydrate, just the name alone makes it sounds amazing! This works perfectly for me providing just the right amount of hydration. I believe the dry skin system comes with a different cream and the oily with a serum. I've never been one for wearing a daily sunscreen, (unless it's in my foundation) which is probably why my skin now bears a slight resemblance to an elephants behind! Not that any skincare professional would be reading my blog, but if they did I can sure imagine what they'd be shouting at me right now! 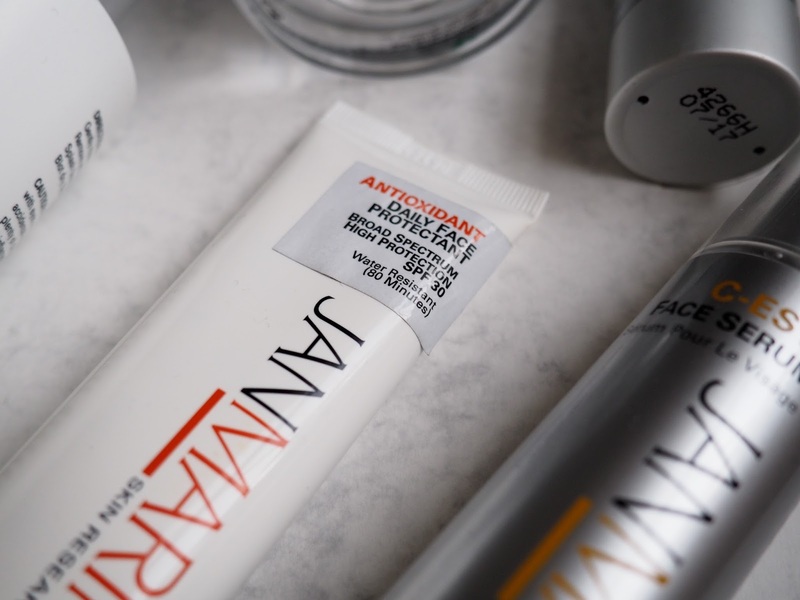 Anyway, I now protect my face on a daily basis with this broad spectrum uv protectant. It's so lightweight and adds that extra bit of moisture. For me a definite YES. I'm not saying that my previous skincare brand doesn't work or provide results, it just stopped working for ME, my skin needed more help. I've been using Jan Marini now about 3 months and I can already see a slight improvement from this advanced system, it's not going to be an immediate fix and is definitely a long term investment. My skin is softer, brighter, has more clarity and I can see in the mirror that my lines have softened a little and I imagine the results will get better over time. I would like to to add an eye cream to the mix when I can stretch to it as boy do I need help there, I need something really powerful!!! I also want to incorporate a retinol product too at some point. Let's face it (pardon the pun) ageing is inevitable, it happens to us all. We can't stop it but we can help to slow it a little. I don't use all these lotions and potions (as my husband calls them) because I want to look younger, but because I want to be the best version of me that I can possibly be and whats wrong with that? 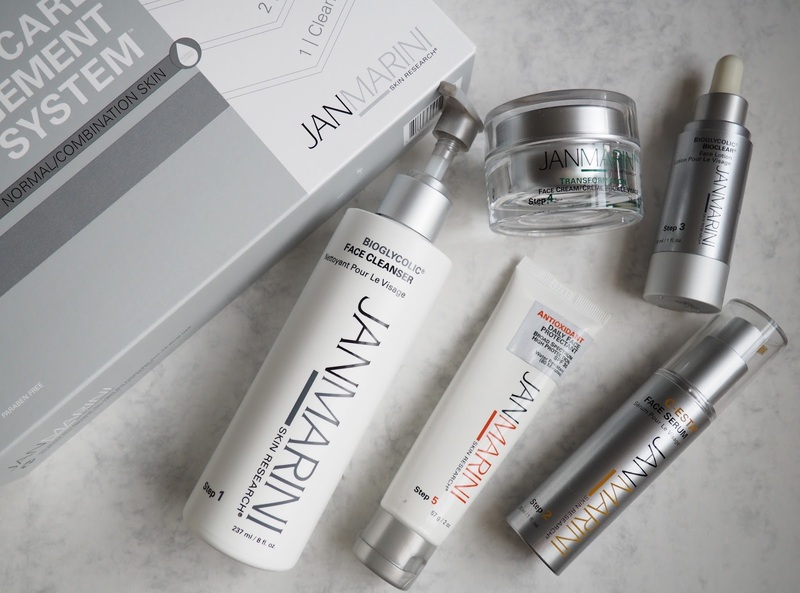 If you're interested in finding out more about Jan Marini or other skincare brands head to the Dermacaredirect website. Andrea is so helpful and more than happy to answer your questions and offer advice, and she also writes a really informative blog too! Have you heard of cosmeceuticals? Would you like to try them?